What Are The Features Of Neutral Sizing? What Are The Factors Influence Paper Machine Wire Life? According to various production capacity and demands, Leizhan can provide culture paper manufacturing machine width range from 1880mm to 3750mm. To meet our customers’ various demands, Leizhan culture paper processing equipment can produce various basis weight sheet ranging from 40g/m2 to 80g/m2. The Centri-cleaning system is used in paper pulp processing line and divided into low density heavy impurity cleaning and low density light impurity cleaning. Leizhan China is the leading supplier of equipment in pulp and paper industry. Leizhan offer reliable Culture paper making solution for you. Based on virgin pulp, deinked waste paper, used office paper, etc., paper makers can manufacture high quality white A4 printing paper. Wood pulp processing line equipment for paper plant. 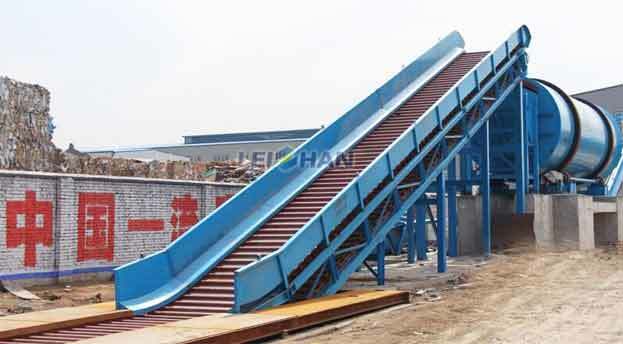 Leizhan professional engineers design and manufacture various Chain conveyor which is used in pulp and paper industry convey waste paper, paper board, etc. Pulp Cleaning System Machine are used to remove fine heavy and lightweight contaminants as well as entrained air. Screen mesh is part of Inclined screen pulp washing machine in pulp and paper industry. Leizhan paper machinery company supply low price Inclined screen mesh. Drum pulper is becoming a more and more widely used large and efficient pulping equipment. Especially used to pulp recycled waste paper. Rope Cutter is a kind of impurity-removing equipment used in continuous pulping system. It is used along with Hydrapulper and Ragger. Leizhan-manufactured Pulp Cleaning Machine High Density Cleaner is a kind of pulp purification equipment in high concentration. Working Principle of the machine will be discussed in this article.